thou changeless Rock, they shake not thee! 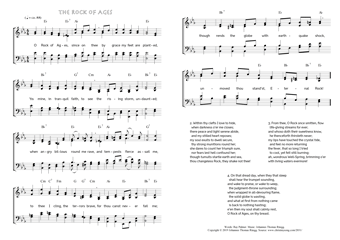 O Rock of Ages, on thy breast. Ray Palmer, in: The Poetical Works of Ray Palmer, 1876, 27-28. Diese Seite - www.christmysong.com/2031/index.html - wurde zuletzt wesentlich bearbeitet am 13.04.2019.